A lot of clients look at me with confusion when I suggest a testamentary trust for them. I immediately receive questions like: What is it? How does it work? Do I need one? I have answered some of the general questions I receive below, to give you a snap shot of what testamentary trusts are, and how they work. In a nutshell, a testamentary trust is a trust established in a person’s Will, which does not come into effect until such time as the will-maker dies. 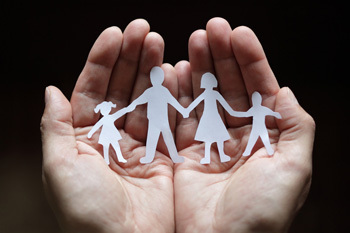 How do testamentary trusts work? Effectively, a testamentary trust can work however the will-maker would like the trust to work. A discretionary testamentary trust allows an adult child to be the trustee of a trust, which is created under a will. The discretionary testamentary trust set out in the will-makers Will will name a number of different beneficiaries which are generally related to the adult children including their children, their spouse, their brothers and sisters etc. The adult child, who is more often than not the trustee of the trust, is free to allocate income and capital of the discretionary testamentary trust to the beneficiaries of the trust, as they wish. I most often see a discretionary testamentary trust used where the will-maker has a significant sum of money going to their adult children, who have their own families. A capital protected testamentary trust allows for income to be distributed to a particular beneficiary or beneficiaries, whilst reserving the capital for other beneficiaries. The specific terms of the capital protected testamentary trust can be tailored to suit the will-maker’s objectives. For example, how much capital they wish to reserve, how often they would like the income beneficiary or beneficiaries to be paid, whether there are any special circumstances in which the income beneficiaries may receive or request a distribution from the capital amount. I often see capital protected trusts established where two spouses wish to provide an income stream for their surviving spouse, but ensure that a capital amount of their wealth is secured for their children. A testamentary trust can take many forms. The first step is considering what the possible value of the will-maker’s estate may be and what their objectives are. From there, it is balancing act of achieving your objectives against any risks that may exist against your estate. The main benefits of offering your beneficiaries the option to receive their inheritance in a testamentary trust is: asset protection and taxation benefits. If a beneficiary receives their inheritance in a lump sum in their name personally, it will be open to the creditors of that beneficiary. However, if a beneficiary takes their inheritance as trustee of a testamentary trust, it will not be open to creditors. This is because the funds are owned by the trust, not by the beneficiary. The taxation benefits afforded by a testamentary trust, especially a discretionary testamentary trust, is that the trustee may distribute some of the funds from the trust to a beneficiary who may be receiving a lower income than them, so the funds are taxed at a lower rate. Testamentary trusts can be a useful estate planning tool, but do have the potential to cause many issues for a beneficiary if the trust is not established correctly under the Will. Please do not hesitate to contact me if you are looking at your estate plan and would like to know more about setting up a testamentary trust.